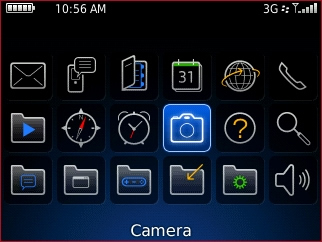 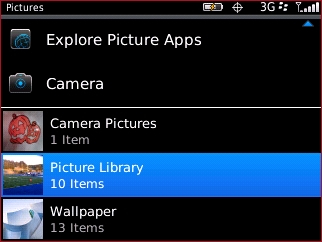 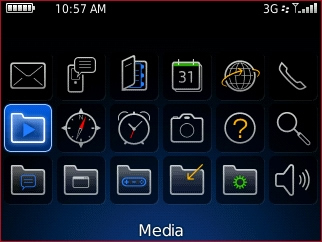 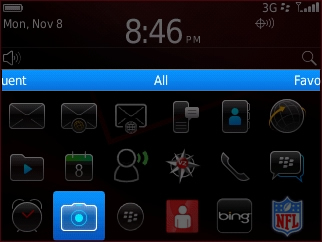 Select the camera icon to take the picture. 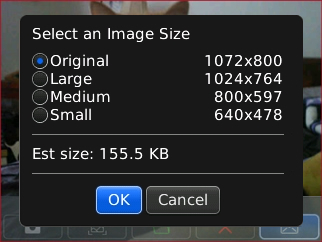 Select an image size then select OK. 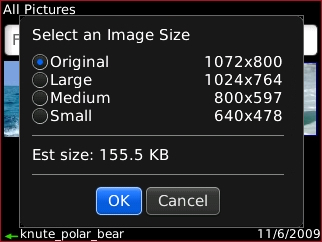 The estimated file size (e.g., 179.0 KB) for the selected image size is displayed below. 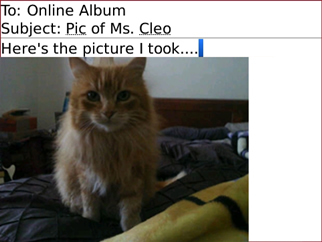 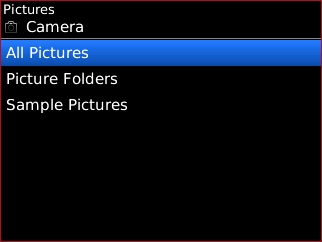 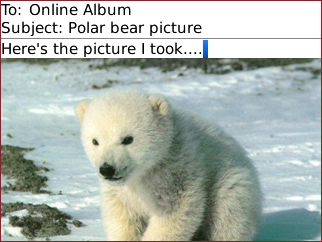 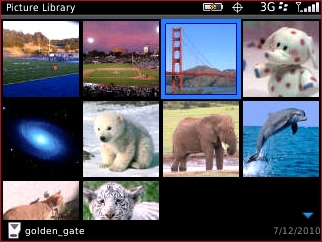 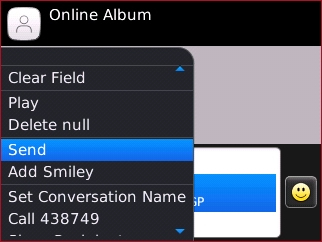 Select a picture folder option. 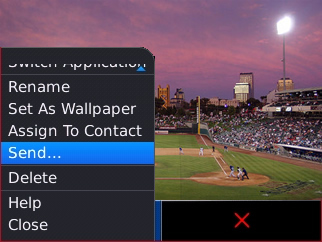 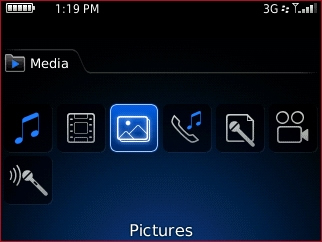 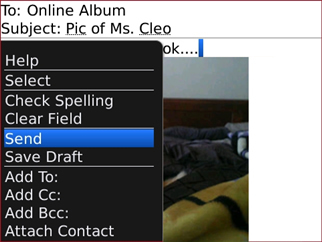 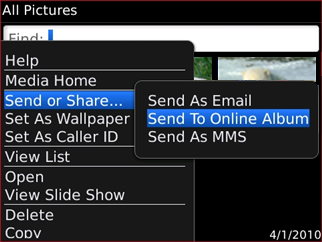 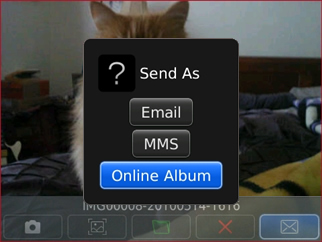 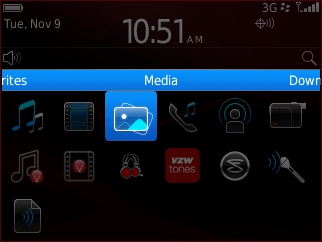 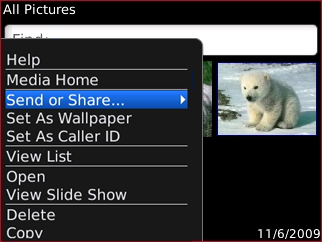 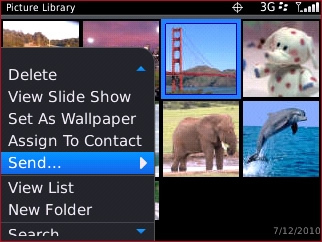 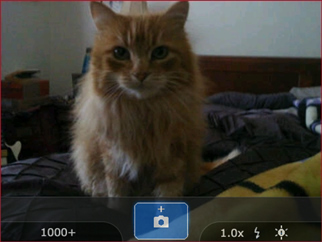 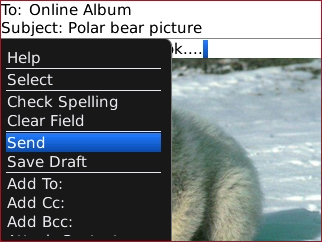 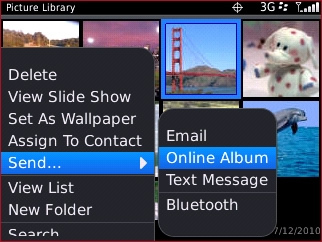 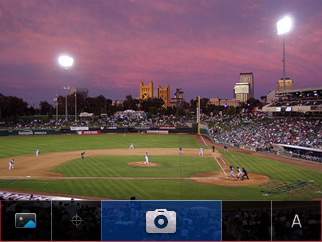 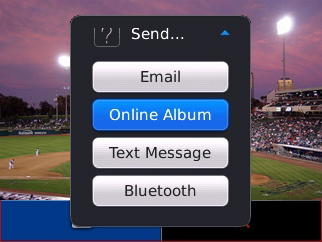 Highlight a picture, press the Menu button then select Send / Share.